Sometime between 1835 and 1840, Benjamin was in a line of slaves, picking cotton to the tune of, "Steal away, steal away, steal away to Jesus, steal away, steal away home, I hain't got long to stay here." Benjamin did just that. He stole away, with the help of the underground railroad, to the free state of New York, leaving behind his brothers Jerry on another plantation and Tom, who in 1825 left Frederick County, Maryland with owner William Pennington Burgess and other's for Mount Vernon, Knox County, Ohio. The station agents that were successful in his entrance into New York, were Gerritt Smith, Lewis Tappan and possibly Samuel Ward. Gerritt Smith, who took on the responsibility of Benjamin's safekeeping, is said to have been a radical millionaire who often donated money to the Female Anti-Slavery Society in Rochester, of which his cousin was a member. Smith, educated Ben and taught him skills needed to secure employment. Ben's first employment was working for the railroad. In 1847, Ben met and married Violet H. They were the parents of Theodore Harris born 1847, Rufus James born 1849, Samuel Jerome born 1851, Ellen sometimes called Hellen born 1853 and Minnie Carabel born 1856. Violet H. Snowden was the mother of these children but she was unable to raise any of them herself. Violet was suffering from some type of mental illness. Benjamin with the help of housekeepers, raised his children the best he could. Minnie Carebel, the youngest child died October 15 1856, just six months after her life began. Theodore Harris Snowden married Francis Henrietta Mills Jordon, September 5, 1876 in Portageviile, New York. Theodore died February 20, 1928. He is buried in the family plot in Warsaw and Frances H. died May 12, 1912. Rufus James married Janie Wilson in Grant Church, Glynn County Georgia April 24, 1869. Rufus James died June 25, 1870 at the age of 21 years. At the time of his death, he was a printer at the Western New Yorker, a weekly newspaper in the town of Warsaw. Benjamin was also working for the paper at that time. On Saturday morning last, James Snowden, one of the compositors in the New Yorker Office, entered upon his work in apparent good health. He was sitting upon a stool, engaged in distributing type and was observed to suddenly throw back his head and drop over as if about to fall; was caught and laid upon the floor and died in less than ten minutes without uttering a word or giving a sign of consciousness in response to the efforts of his father and others to revive him. Dr. Adams was summoned, but the stricken young man breathed only once after his arrival. He had been employed in this office most of the time for the past six years and was very intelligent and faithful hand. About a year ago he went to Georgia and organized and conducted successfullly a large school among the children of his race in that State lately freed and enfranchised. Not enduring the climate, he returned and had just regained an apparently fine physical condition, having worked for the past few months without trouble or complaint...... Rufus James Snowden was buried at the family plot in Warsaw. 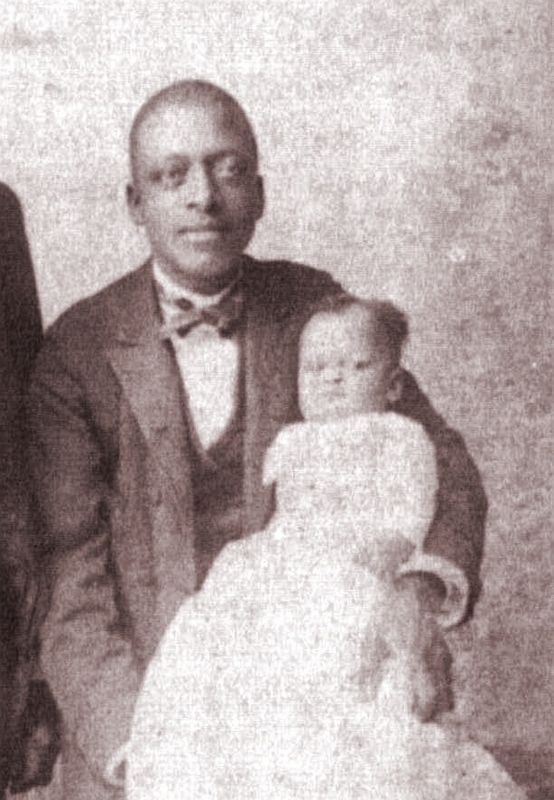 Samuel Jerome's, occupation was a Professional Barber. Samuel Jerome married Anna L. Bush. Anna was born about 1858 in Germany. They were the parents of 2 children. 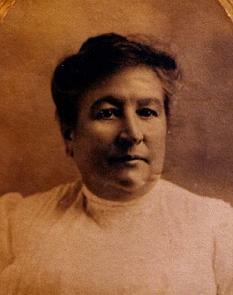 Emma born in Castile on October 28, 1878 and Fred born 1874. Ellen sometimes called Hellen never married and never knew the pleasures of being a mother. She become the housekeeper, cook and nurse maid. She wrote a letter in 1869, to her cousin Sophia Snowden about her dream of attending an institution for Domestic Training. Her dreams of a brighter future were shattered by the circumstances of her home life and her mother's affliction. 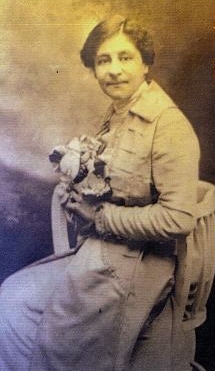 Ellen died March 1, 1928 at the age of 75. Ellen was buried in the family plot in Warsaw. 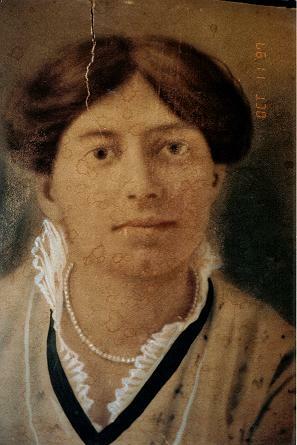 Emma Snowden, daughter of Samuel and Anna, married David Taylor, September 9, 1895. Emma lived in the town of Warsaw for over 50 years. Emma died September 19, 1941 at the home of her son Robert Taylor. David Taylor died November 19, 1903 and was buried in Canada near relatives. The home of Emma's childhood stand's today as testiment of their presence. The home her father purchased from a relative was built in 1835. The house was once the home of the V.F.W.. When the V.F.W. vacated the premises, they left two of the original walls standing. The present house still has the original walls in it's original state. This quaint little house still resonates with the presence of Emma and Samuel and Benjamin. The house is occupied by the grandson of Emma, great grandson of Samuel Jerome, gggrandson of Benjamin F. Snowden. Fred Snowden, son of Samuel and Anna was a solitary man. He spent most of his adult life in Gowanda. Fred was born 1874 and died in the town of Gowanda, at his residence around 1949. Mary Bush married Robert Mills, brother of Frances Henrietta Mills Jordan Snowden. Anna L. and Mary also had a brother, George Bush.